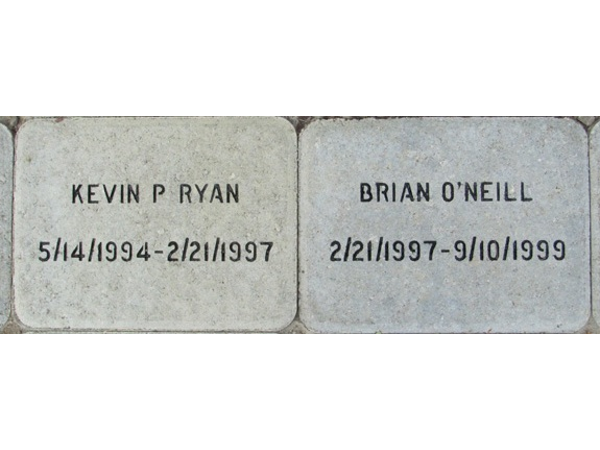 Jim Irwin told a crowd of people gathered in the village that a man dies twice: first when he physically dies and then when he is forgotten. 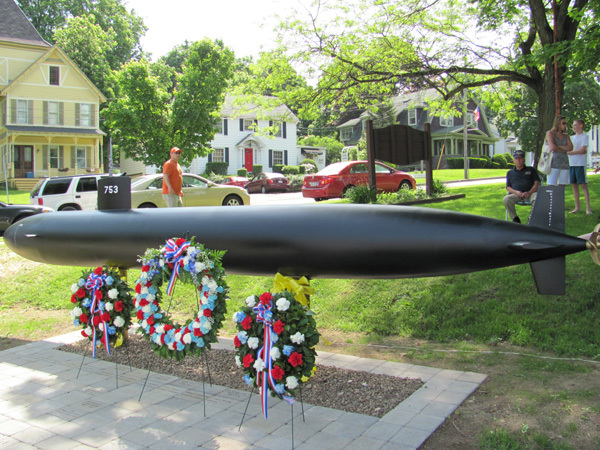 Then he told those in attendance that they were gathered in Ballston Spa’s Veterans Park in the village center to ensure the second death doesn’t happen to hundreds of submarine veterans from the state. 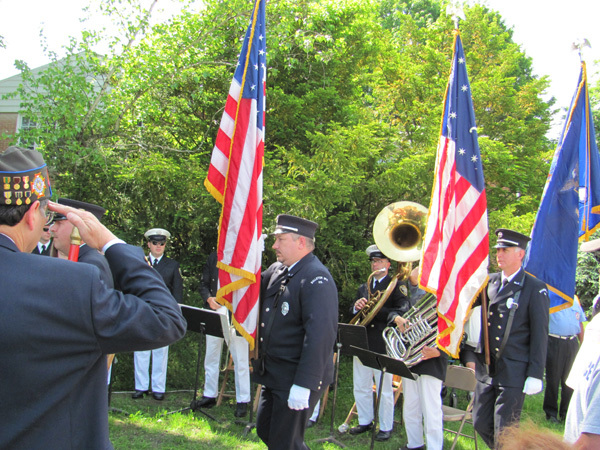 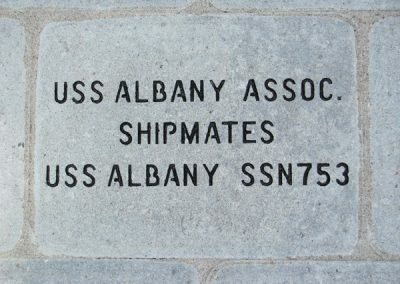 “We’re here to honor them today and always,” said Irwin, the state commander of United States Submarine Veterans Inc.
After years of work, the Albany-Saratoga Sub Vets Memorial Foundation on May 20 dedicated the state Submariners Memorial in the park along Route 50. 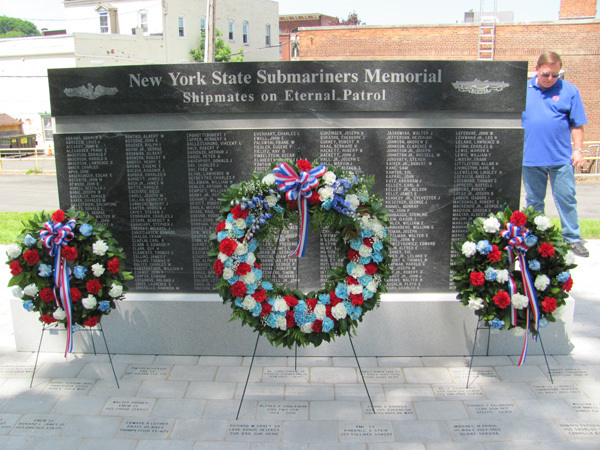 New Yorkers account for about 10 percent of the 4,000 American lives that have been lost in submarines, and veterans, local and state government officials attended the ceremony to pay tribute. 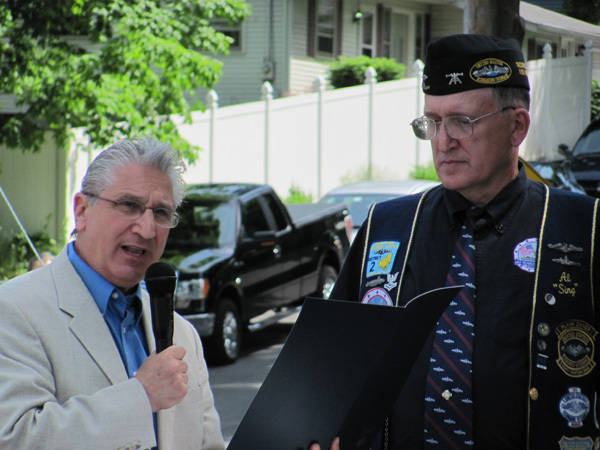 Rep. Paul Tonko and state Assemblyman Jim Tedisco both delivered remarks highlighting the bravery of the submariners, U.S. Navy Capt. 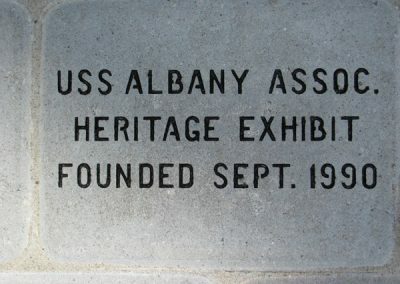 Jeffrey Hughes gave the keynote address. 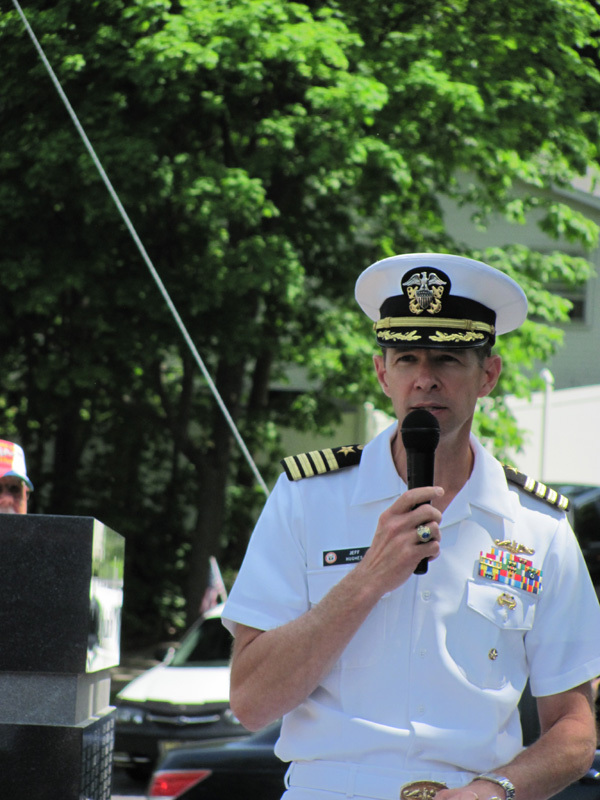 Hughes highlighted the memorial foundation’s purpose: to remember all the fallen submariners and to provide an opportunity for camaraderie among living veterans. 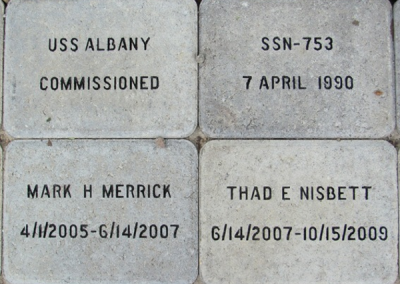 “Looking at this, I’d have to say mission accomplished,” he said of the Veterans Park memorial and ceremony. A World War II patrol pin and dolphins appear on the memorial wall. 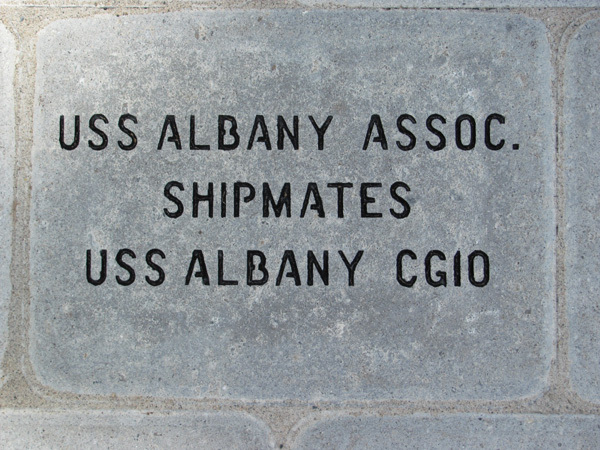 The dolphins represent the badge of honor that submariners receive when they are qualified aboard their vessels. 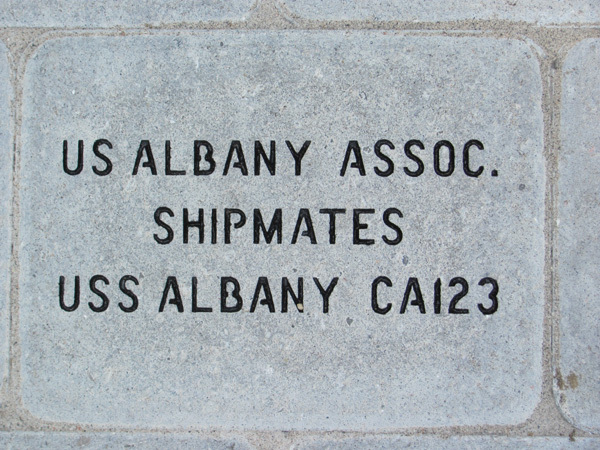 “It means you know every section of the boat so your shipmates can count on you when they’re sleeping,” said Al Singleman, Albany-Saratoga Sub Vets Memorial Foundation board chairman. 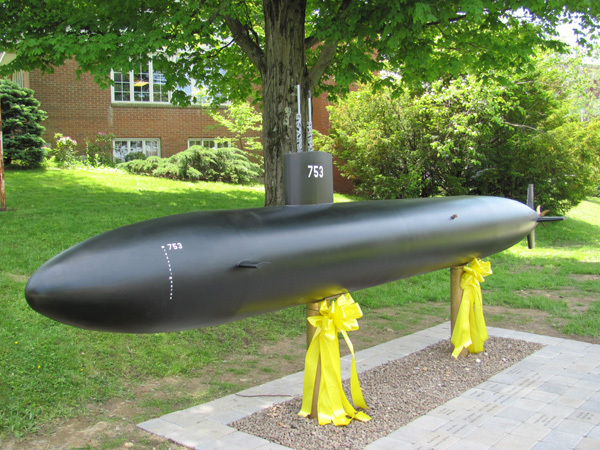 Another component of the memorial dedicated May 20 is a to-scale model of the USS Albany submarine SSN 753. 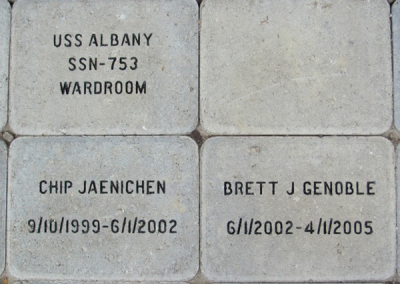 There is also a brick walkway through the park that extends from Low Street to Route 50 that memorializes veterans from all branches of the military, as well as a memorial stone. 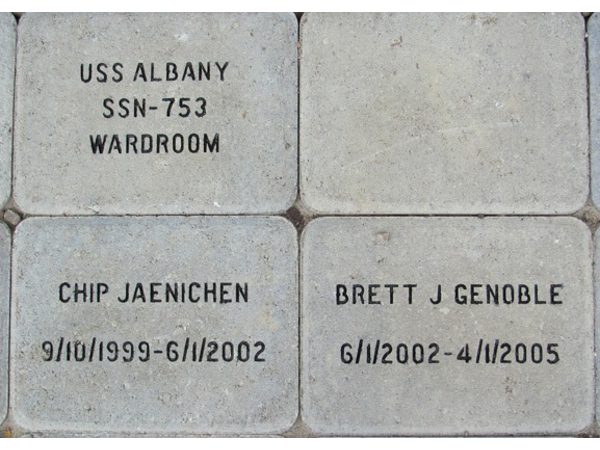 The process of creating the memorial began in 2004 and was a joint effort that included the foundation, the American Legion, VFW Post No. 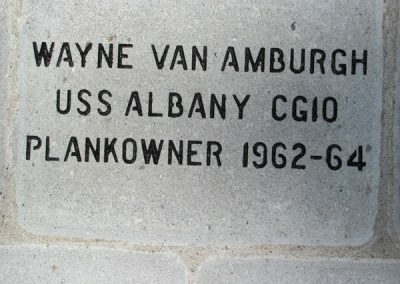 358, American Legion Post No. 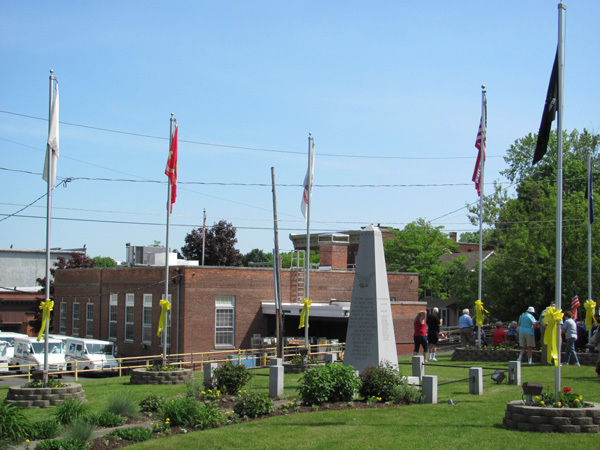 234 and village officials. 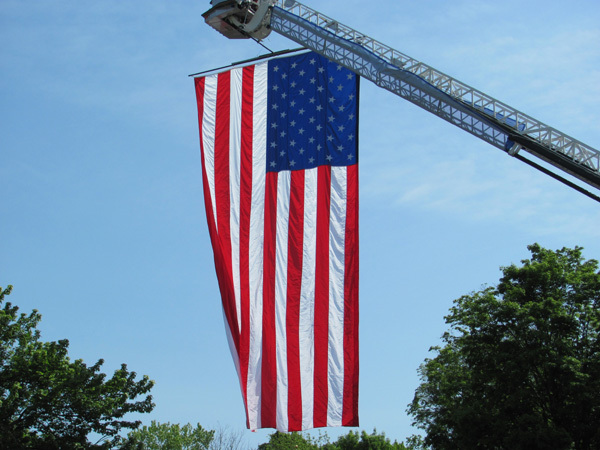 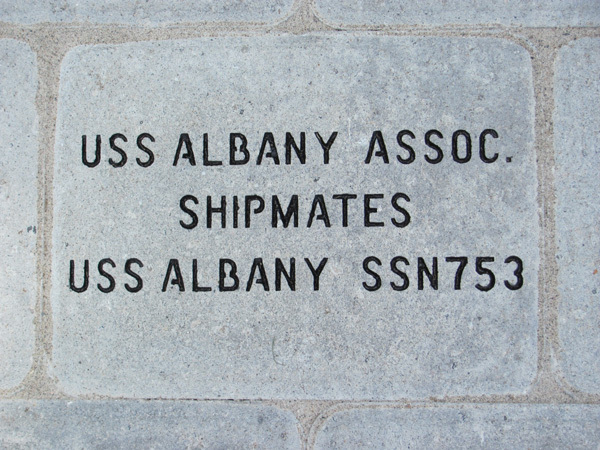 “As people come to Ballston Spa from all over, this will be a constant reminder that the best things in life aren’t free,” village Mayor John Romano said. 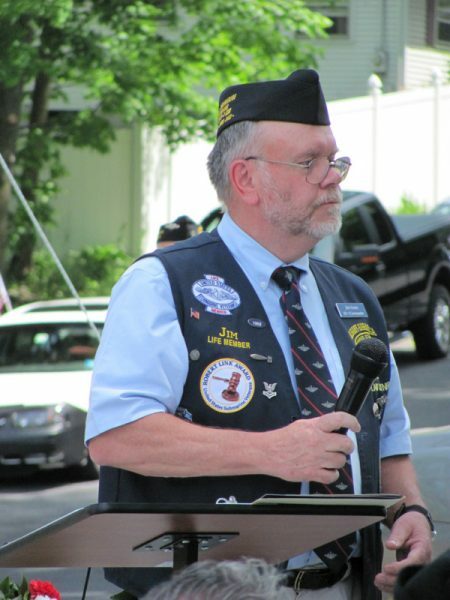 Everett Manning of the American Legion told the crowd he could see himself firing a musket, but he couldn’t see himself being stuffed in a tube underwater for six months as submariners are. 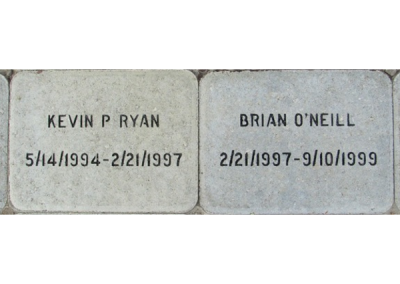 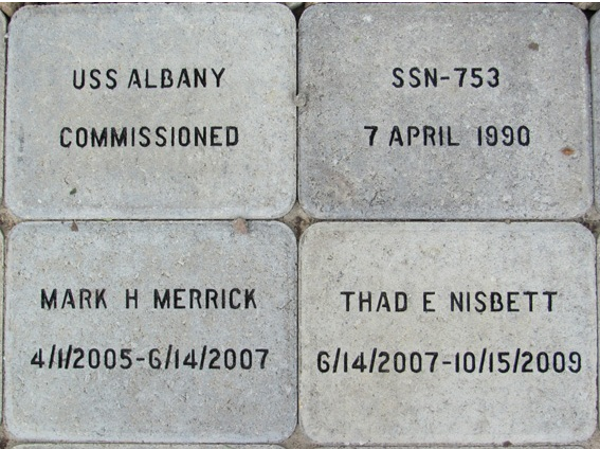 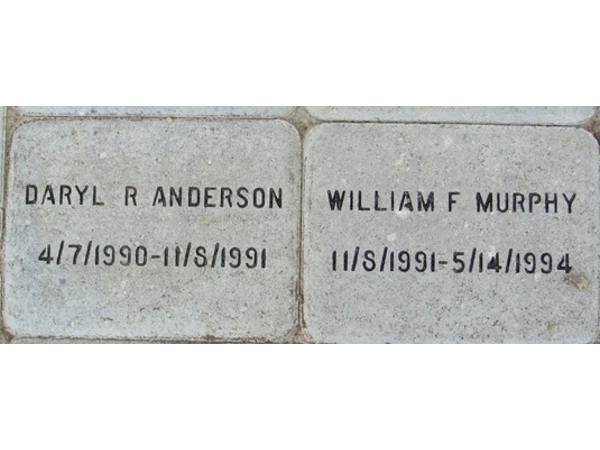 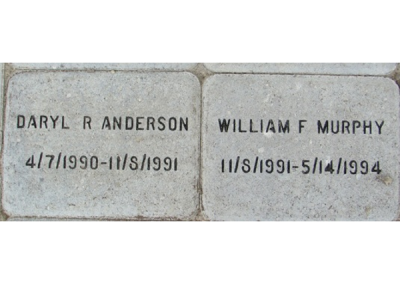 The following photos are some of the Memorial Stone’s purchased as part of the fund raiser effort by the NYS Sub Vets Memorial committee. 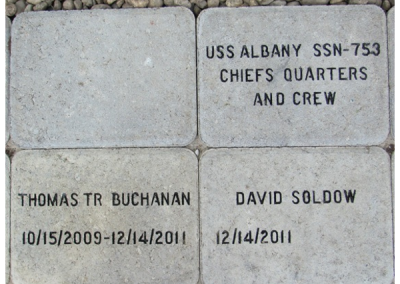 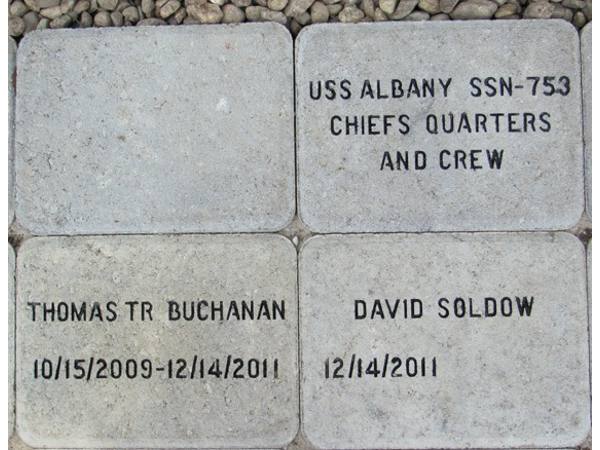 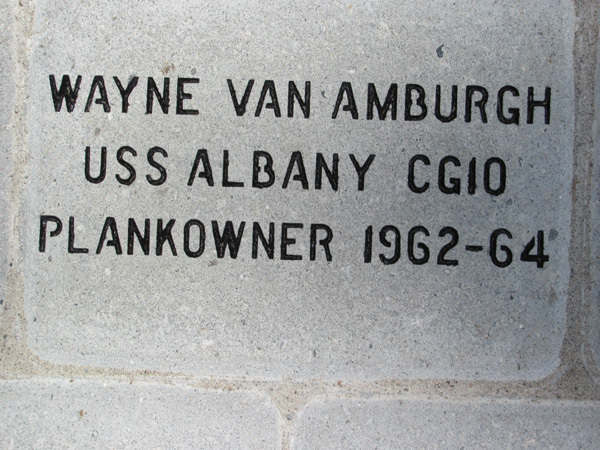 The main presentation of the SSN 753 model also included memorial stones of all the Commanding Officers of the USS Albany SSN 753. 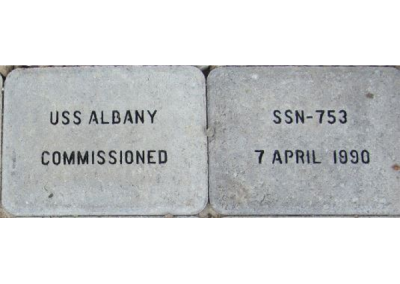 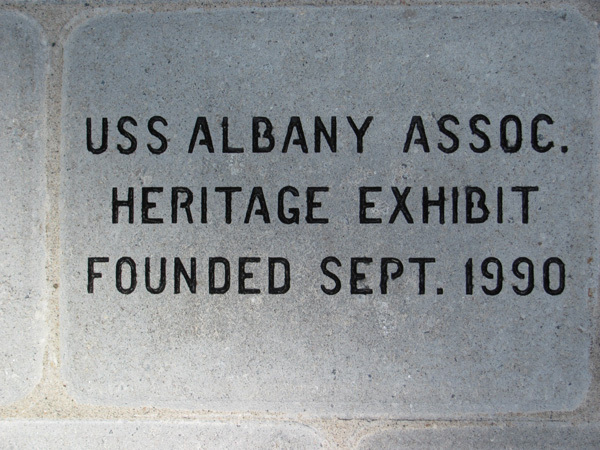 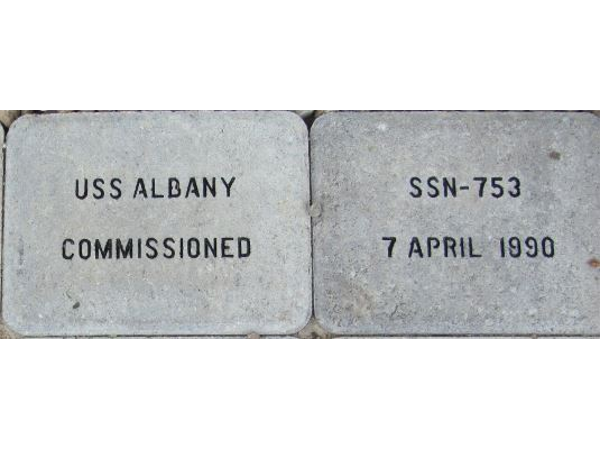 The USS Albany Association & Heritage Exhibit was also represented in support of this program with various stones representing the Albany Association, Heritage Exhibit and personal stones in place. 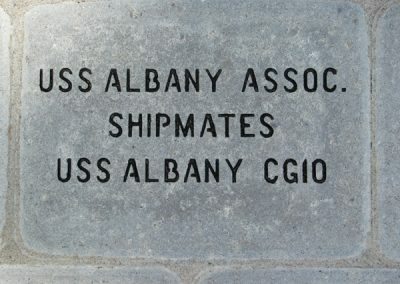 Representing the USS Albany Association at the dedication were Al Bursi & Elinor Marci and Wayne & Judy Van Amburgh. 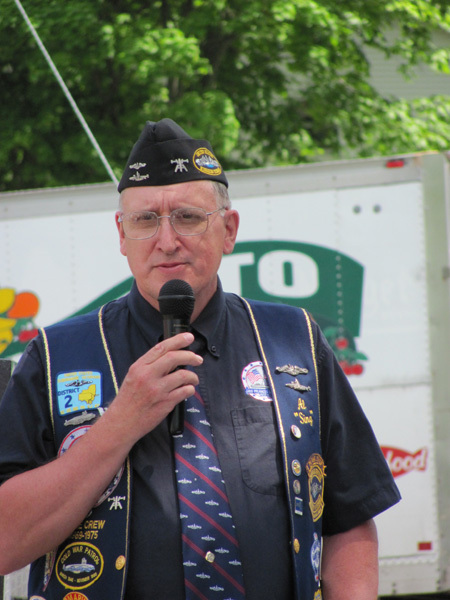 Following the dedication and presentations the Albany-Saratoga Sub Vets hosted a reception for those in attendance at the Ballston Spa American Legion Post 234.